At its regular meeting on April 10, the Alexandria City Council reviewed updates on the new Potomac Yard Metrorail Station project, in anticipation of approving a new funding agreement to enable the Washington Metropolitan Area Transit Authority (WMATA) to award a construction contract. The project's initial budget of $268.1 million was based on construction cost estimates in 2015. Since that time, sharp increases in the prices of concrete, steel and labor have combined with a shortage of qualified subcontractors in demand for a large number of major transportation projects in the region and nationwide. WMATA received initial bids in March 2017 that significantly exceeded the project's initial budget. The city and WMATA asked vendors to explore design changes and other savings opportunities to make the project more cost-effective, and vendors submitted revised proposals to WMATA in February 2018. The revised proposals, which are still being reviewed by WMATA and the city, are lower than the original proposals but still higher than the initial project budget. The revised project budget is $320 million, representing the new $290 million agreement to provide funds to WMATA for construction and $30 million in additional city costs. The station will be funded through a variety of sources — including the $1.1 billion in new tax revenue gained primarily from development in Potomac Yard over the next 30 years; regional transportation authority grants; developer contributions; and special tax district revenue — without the need for any local money from the city's general fund. This means most residents and businesses in Alexandria will not have to contribute existing local tax revenues to the station's construction. The funding plan for the station currently includes two special tax districts. The “Tier I” district includes commercial properties in the north and central areas of Potomac Yard and took effect in 2011. The “Tier II” district includes the residential properties in the southern end of Potomac Yard and is not scheduled to take effect until the new station opens. City Council will consider a staff recommendation on April 10 to eliminate the Tier II district and replace the equivalent project funding with right-of-way easement revenue from a new underground power line proposed for construction along Potomac Avenue. Once City Council approves the new funding agreement and WMATA awards the contract, the contractor will apply for an amendment to the previously approved development special use permit for the station to incorporate the cost-saving solutions. This process will include extensive public outreach in fall 2018 and consideration of all stakeholder feedback. The permit amendment must be approved by the city's Planning Commission, Board of Architectural Review and City Council. 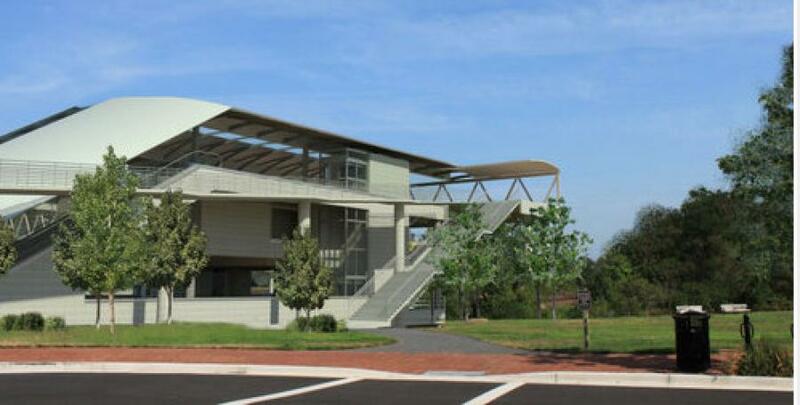 The National Park Service also will review any revisions to the station design. The Potomac Yard Metrorail Implementation Group will continue to meet on a regular basis throughout the project, and will provide the forum for community and stakeholder input, feedback and project updates as it did during the initial planning and design phases. Construction activities are expected to begin in late 2018, with the new station in service in late 2021 or early 2022. The Potomac Yard area represents one of the most significant redevelopment opportunities for Alexandria, with the potential to achieve the vision for an urban mix of uses near transit. The new Metrorail station, to be built on Metrorail's Yellow and Blue Lines between the existing Braddock Road and Ronald Reagan Washington National Airport stations, will provide an extensive range of benefits for Alexandria and the surrounding community. The station, which will provide walkable access to regional transportation systems for neighborhoods in the northeast portion of the city, is expected to generate billions of dollars in new private sector investment, and support 26,000 new jobs and 13,000 new residents. For more information about Potomac Yard projects, visit alexandriava.gov/PotomacYard.